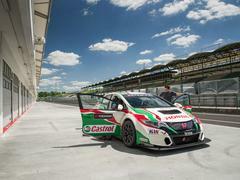 So there was a little more to the Honda Hungaroring trip than witnessing a lap record. 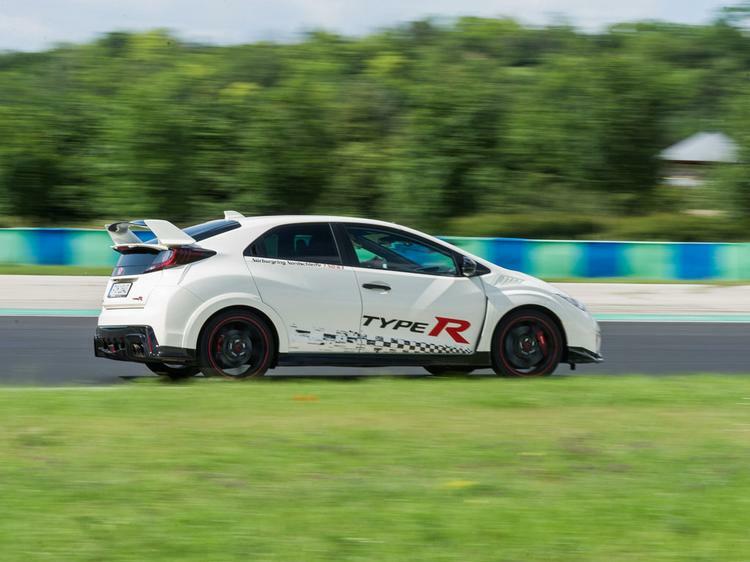 There was also opportunity to try the old Civic Type Rs on circuit; with a current FK2 having been on the PH Fleet since March, a true three-car comparison was long overdue. Yes, it is just the three cars. 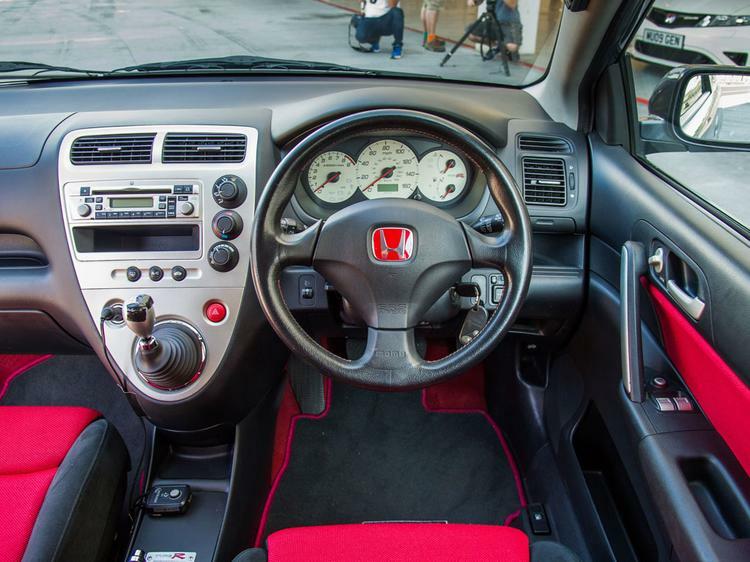 Honda doesn't have an EK9, FD2 or the Japanese-spec EP3 with extra power and a limited-slip diff, so apologies to those expecting a full JDM VTEC extravaganza. 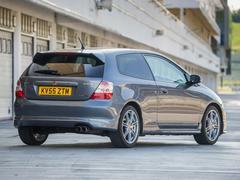 Instead we have a late (2005) EP3 UK Civic Type R, a 2010 FN2 and the current FK2. 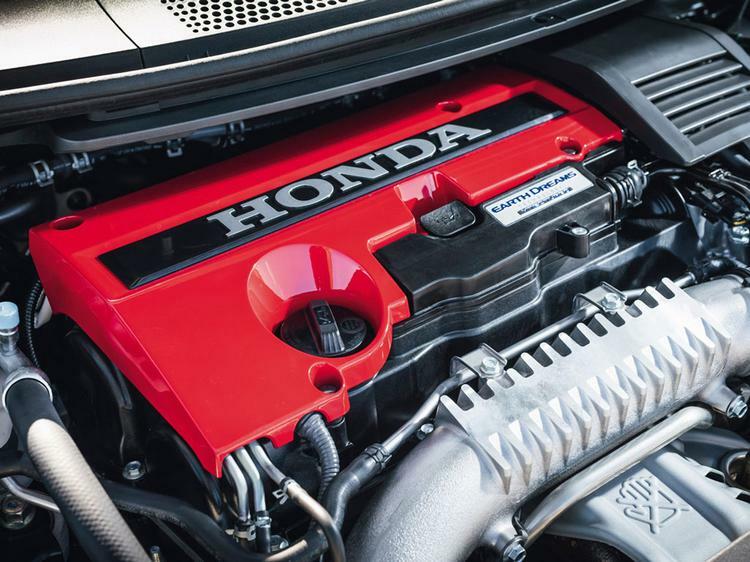 Can a turbo Type R really excite? Does the EP3 feel like a relic? 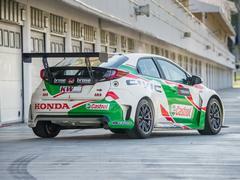 When does the VTEC really kick in? To the track! 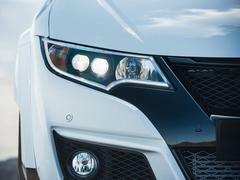 '200hp for £16K!' 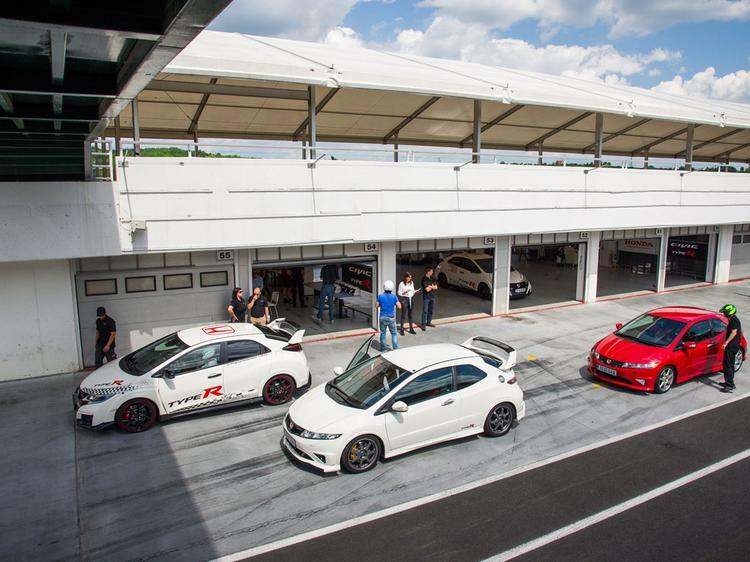 screamed the coverlines on the EP3 Civic Type R's arrival. 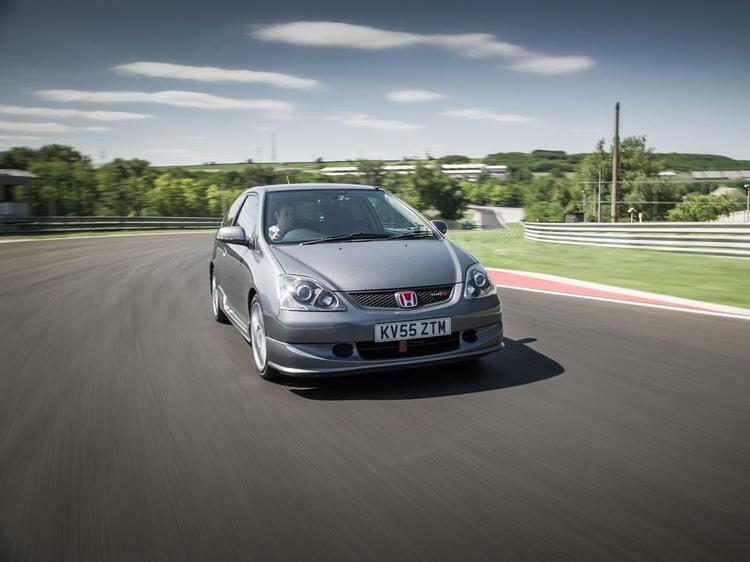 It's easy to forget what a big deal that was 15 years ago; not only was this the cheapest Type R ever offered (both the Accord and Integra were over £20K), it also looked great value in the hot hatch market. 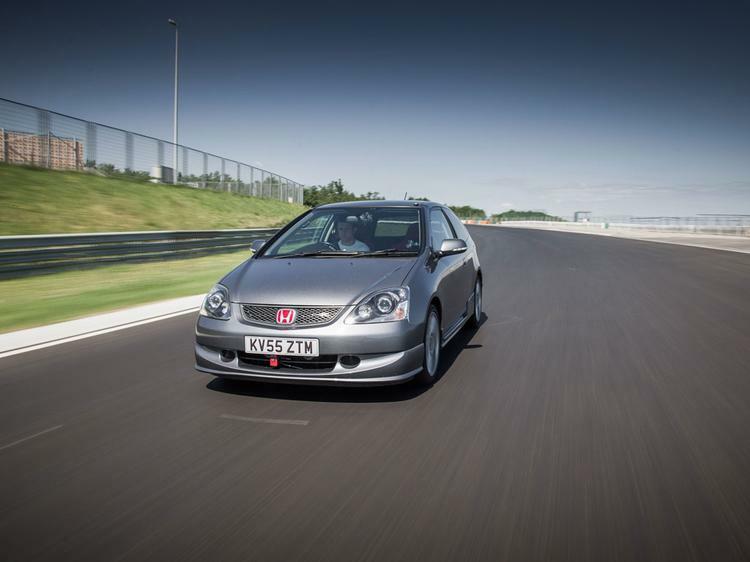 As an impressionable pre-teen back then, and with Gran Turismo consuming every possible waking moment, the EP3 Civic Type R was a real hero car. It still is, in fact, so expectations were running high. With the freedom of the circuit the EP3 can really be driven and - you've guessed it - the engine stars. It just keeps on revving and sounds feral, that glorious six-speed manual the perfect match. You will have heard all this before, but to have a naturally aspirated engine shriek to beyond 8,000rpm in a world where even Ferraris have to be turbocharged is just so exciting. The handling is OK. This was a brief drive in Honda's heritage car but there's enough to sense some real agility and an eagerness from its relatively low mass. The Internet says the electric steering in facelifted cars like this one is improved on the original, but it still doesn't communicate enough about what's going on under the tyres. There's also a sense a contemporary Renaultsport product might have a little more finesse to the way it deals with bumps and changes in grip. Still, the EP3 remains an absolute hoot, largely because of that powertrain. It may seem an obvious one for a track project but with good reason - can the FN2 match it? There's a common belief , thanks in part to a certain television show, that the FN2 can't match the EP3's fun factor, that it's a poor relation and a rather duff Type R.
Sadly, while it would have been nice to confound those expectations, the later Civic is disappointing after the first UK Type R. The performance is still there if you work for it and the steering feel is improved, but elsewhere it struggles to move the fast Honda game on. Now it gets serious. 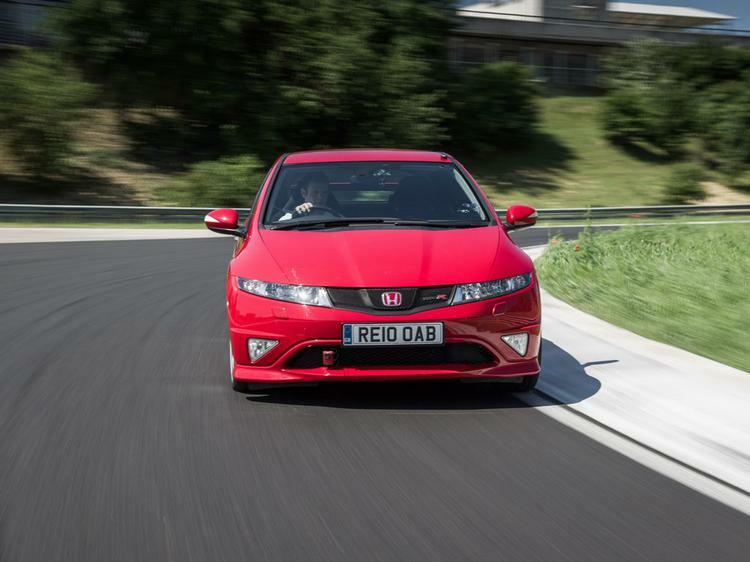 Yes, we've driven the current Type R on track in quite a few situations, but to compare it back-to-back with its predecessors reveals starkly just how far this car has moved the Civic on. 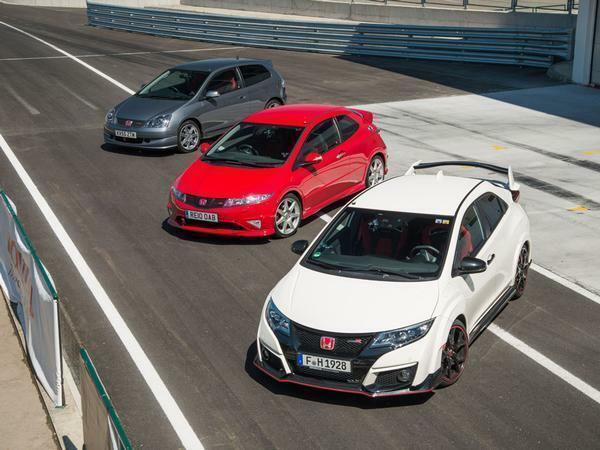 The FK2 Civic Type R always feels fast, but in the company of the other two it's savagely rapid. It's pulling so much harder from much lower down that the lack of a bonkers top end feels almost worth it for the massive increase in performance. Almost. The gearbox is still fantastic, the brakes on another planet compared to the other two and traction better than the FN2 despite twice the torque. It's an absolute animal on the circuit, hugely composed over the Hungaronring's bumps and goading you into ever more optimistic brake and turn-in points. 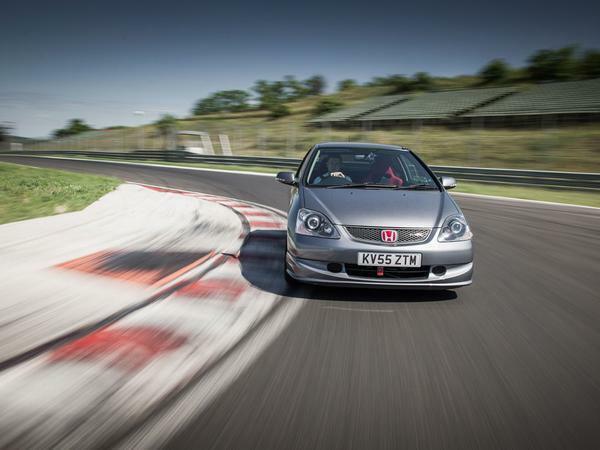 Yes, the tyres may not be as sticky as true track heroes would like and, yes, a Megane is probably more playful, but as a demonstration of how fast front-wheel drive can be the Type R is sublime. It's interesting to note too the similarities between the cars too. 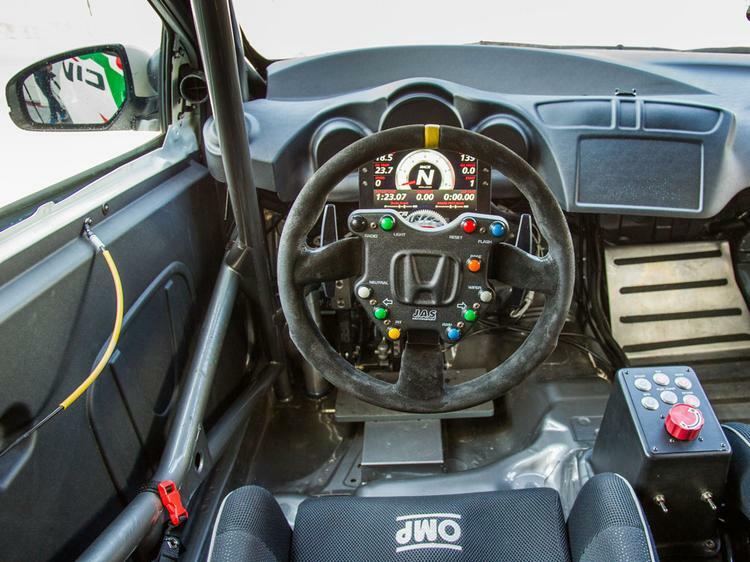 In all three the gearbox is great and the steering wheel very good (despite the introduction of more buttons), but the seat always a little too high. 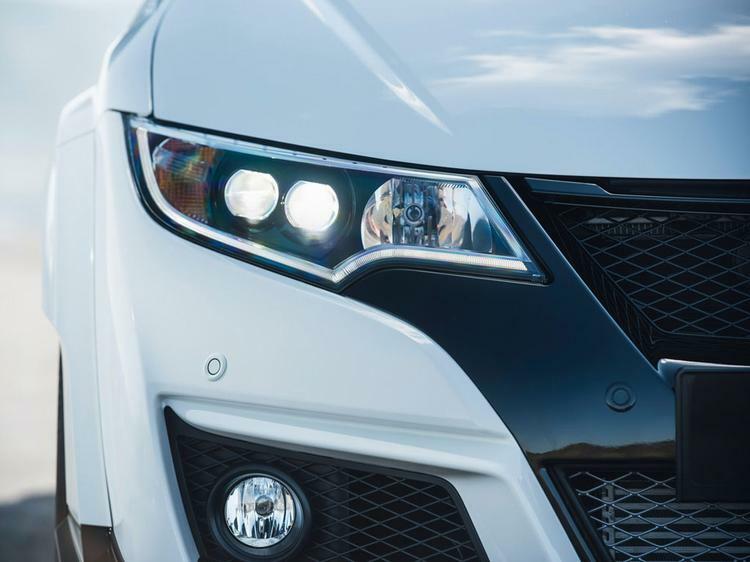 While we're on gripes it's sad to report how much worse visibility is; it feels like there's acres of glass in the EP3 and a great view everywhere, which gradually declines with the FN2 and the current car as the spaceship design, er, took off. Shame. Given the age and value gap between these three, this was never going to be a conventional triple test. 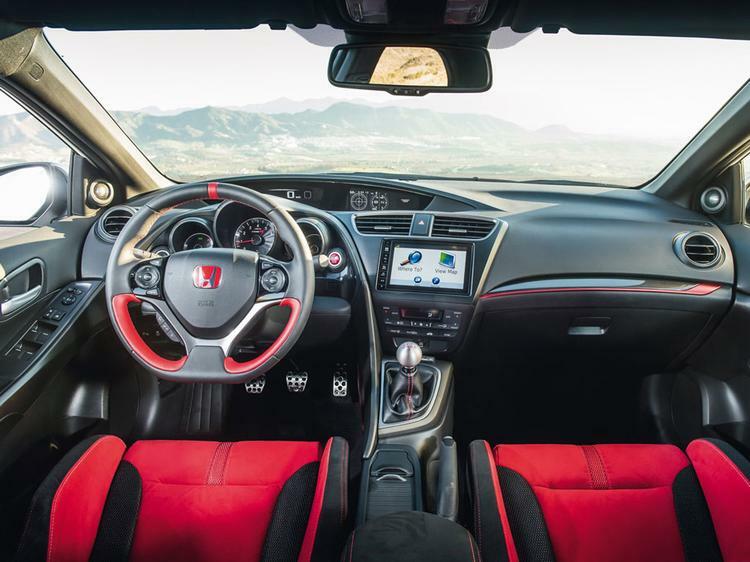 More it was to see how far the Civic Type R has evolved in 15 years, where it has been good and where it could have improved. The FN2 does feel like a backwards step sadly. 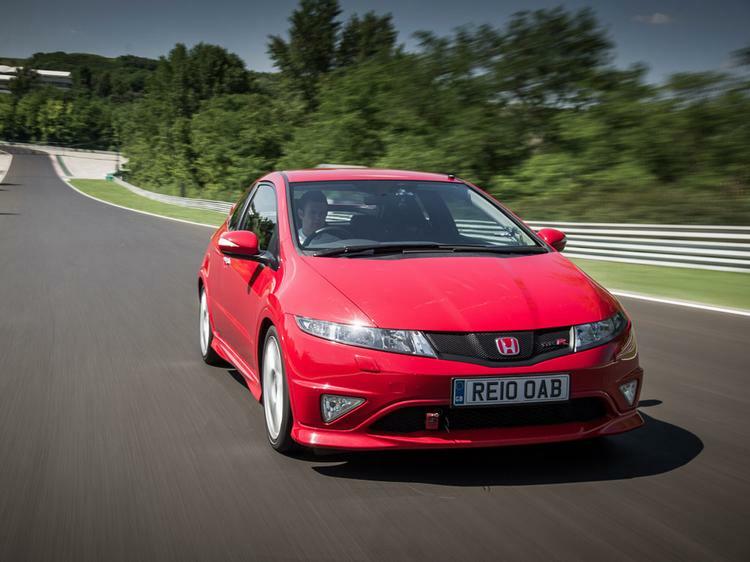 Perhaps that would have been different with the Mugen but then that was nearly £40K when new – it’s a significantly more focused car. If you really can’t stand the looks of the original car then go for the FN2, but otherwise it’s quite hard to recommend. Sorry. The current car feels about three generations on from the FN2; not simply in terms of performance but in the way it feels so much more better built and structurally rigid too. 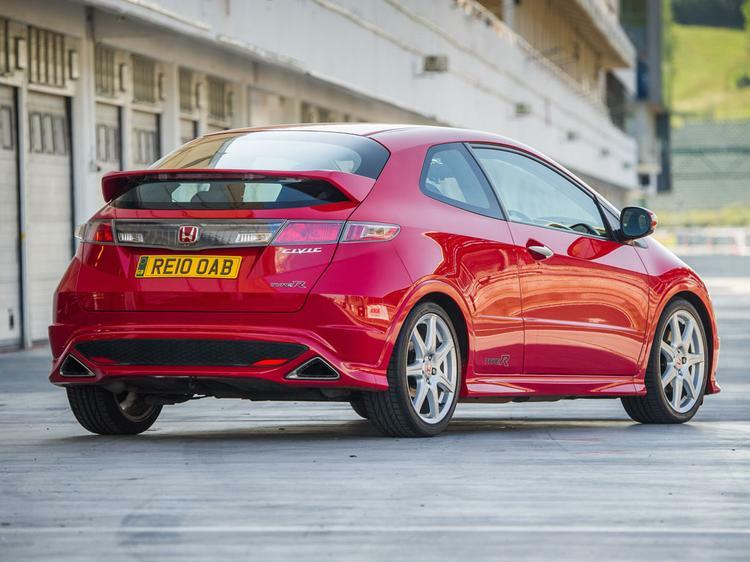 It’s a different kind of car to those that preceded it, but arguably a more complete and competitive hot hatch than it’s ever been. 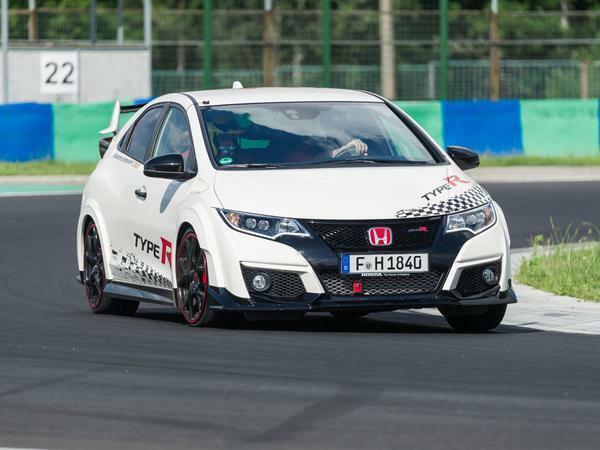 This Civic Type R can learn some things from the old ones though. 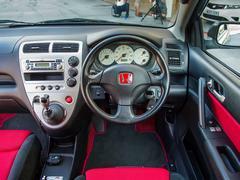 It needs better throttle response, for starters, but a few more revs would be good as well. Of course we won’t get 9,000rpm again, but for now the Type R doesn’t really rev any higher than its rivals. The engine feels really keen, and a redline of 7,500rpm would give it a selling point over its numerous competitors. That being said, for Honda to have returned to the Civic Type R with a car so far improved from the one before it is to be applauded. Let’s hope the progress continues over the next 15 years. 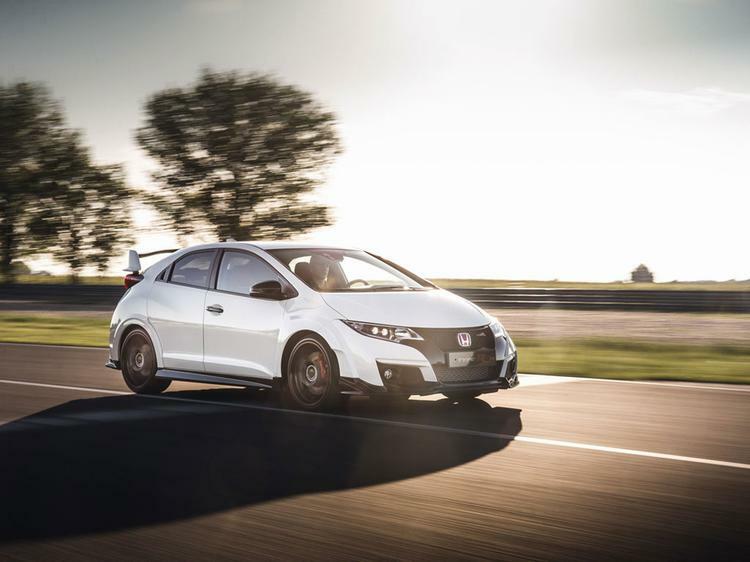 I think the trouble with the ep3 and other type r ( normally aspirated) is that unless you drive them fast towards a safe limit you will never appreciate what they are all about, I own a low miles ep3 and it is in my opinion leaps and bounds ahead of the Leon cupra r I owned before it. 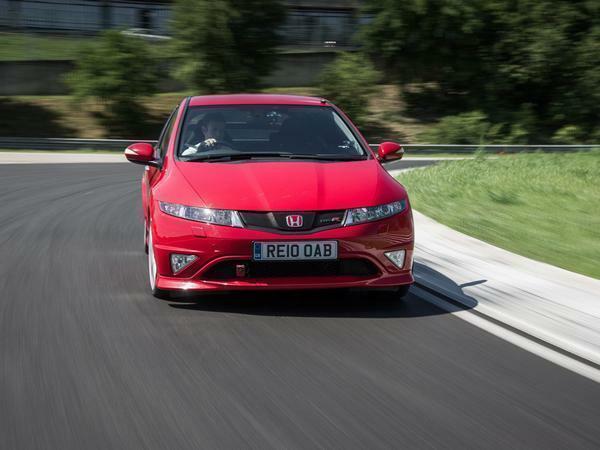 Point being that to most people that went in or drove the two they couldn't appreciate the civics quality as a drivers car and were won over by leather and torque of the leon, I couldn't get the ride and body roll out of my mind though with the Leon, not the best. With the civic as a driver you gotta love the sound and way it all works together In my opinion . I loved my Deep Bronze FN2. Top Gear Magazine had it at the top of the pile of in a group test about March 2007. Shortly after i stuck my name down on the list and 6 months of agony later arrive my first "fast car". I still hanker after it today despite the luke warm reviews its receiving retrospectively.